Social media tell you that someone's spinning old school greasy rhythm and blues downtown later tonight and there's no cover for the ladies to attend. 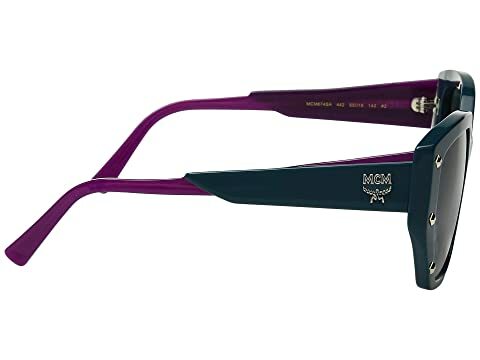 Sounds like you have just scored an opportunity to show off your darling MCM™ sunglasses! 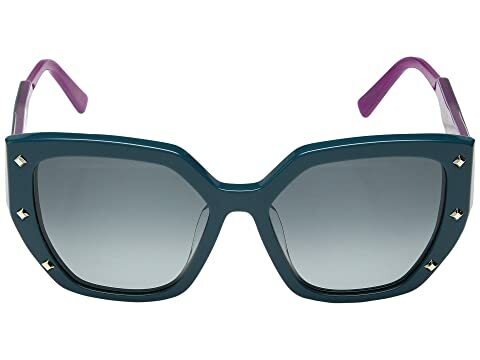 Strong plastic cat-eye frames and temples. 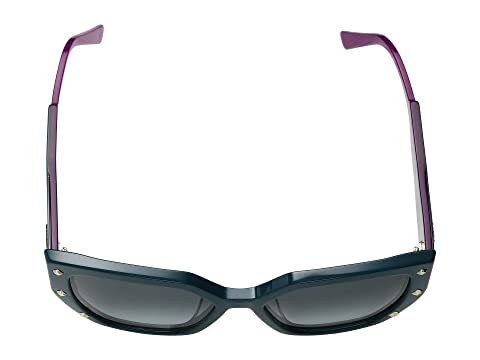 Smooth plastic lenses provide 100% UV protection and colorful blending. 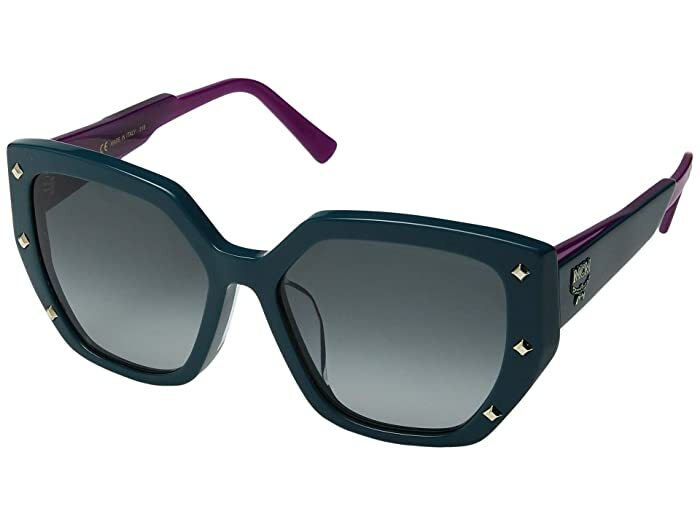 Studded accents around the frames. Brand name logo hardware emblem featured at each temple.